Bert Sadtler is the President and Founder of Boxwood Strategies a consulting-recruitment firm, located in the Greater Washington, DC Region. Bert has over three decades of direct, functional business experience, which began with a quota-carrying sales role for a Fortune 100 company. He has a diverse technology background as well as significant business development and operational expertise. Bert approaches today’s marketplace through direct interaction with the business community. Change in business is constant and agile is the new smart. Effective hiring today requires changing the conversation. Bert focuses on delivering solutions for business growth. Leveraging his business background, he consults with companies and delivers solutions for growth. 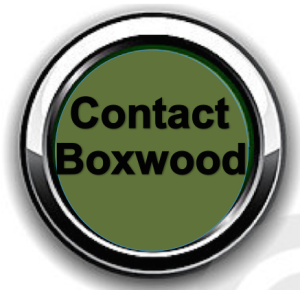 Bert has developed the “Boxwood-Way”, a consultative, process oriented recruitment approach. It involves a different conversation and different way to hire and retain critical talent. The result is for the newly hired talent to deliver value to their employer on day one. Bert serves clients in multiple sectors such as: The Manufacturing Sector, The Intelligence Community, Government Contracting, Satellite Communications, Software Development, Medical Device Manufacturing and Broadcasting. Examples of recruitment include: Chief Financial Officer, Chief Operating Officer, Executive Vice President of Managed Network Services, Vice President of Programs, Manager of Contracts & Export Compliance, Director of Marketing, Director of Business Development, Manager of Technical Recruiting-Fort Meade, Senior Product Engineer, Director of Sales and Government Account Manager. Bert writes monthly thought-leadership articles published in technology publications The format is directed toward industry senior leaders and hiring managers. Bert is a requested guest speaker for CEO groups where he discusses today’s shift in the hiring paradigm, employee retention and performance based compensation models. He actively attends industry shows and events throughout the year. Bert believes that he needs to spend his time where business professionals spend theirs as consulting is a business event that must solve a business problem. Bert holds a Bachelor of Arts Degree in Marketing from Towson University, Towson MD.